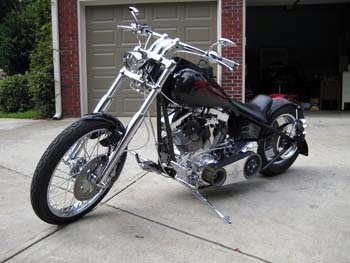 This custom-built, pro-street chopper was built in honor of SGM Kalaii Kano Griffin. 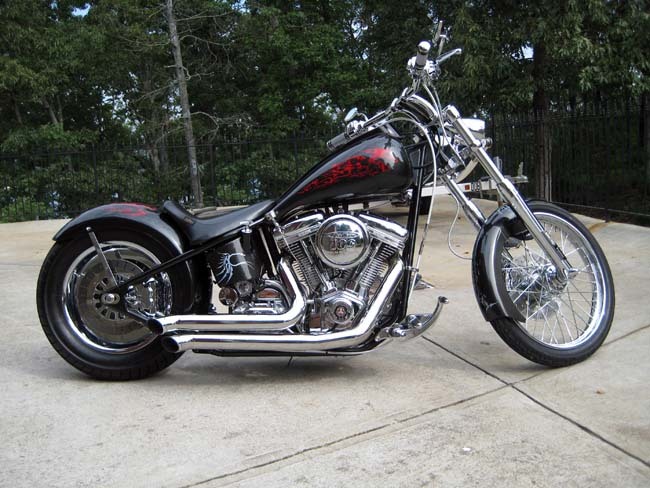 His love for the American-made muscle car and motorcycles inspired its creation. 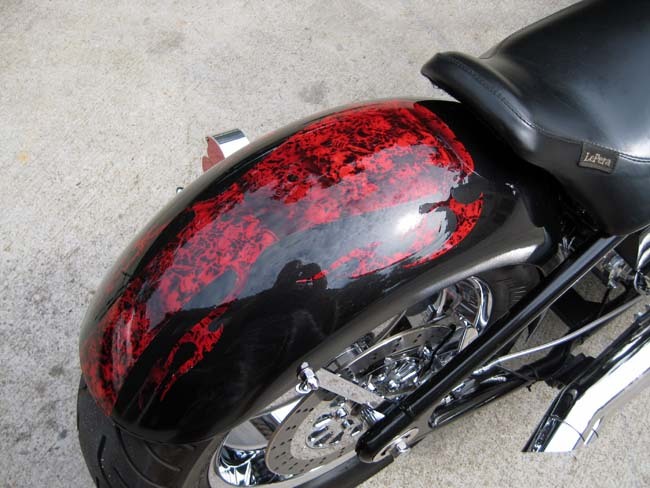 Throughout the bike, one can see that every aspect was crafted to pay homage to SGM Griffin. 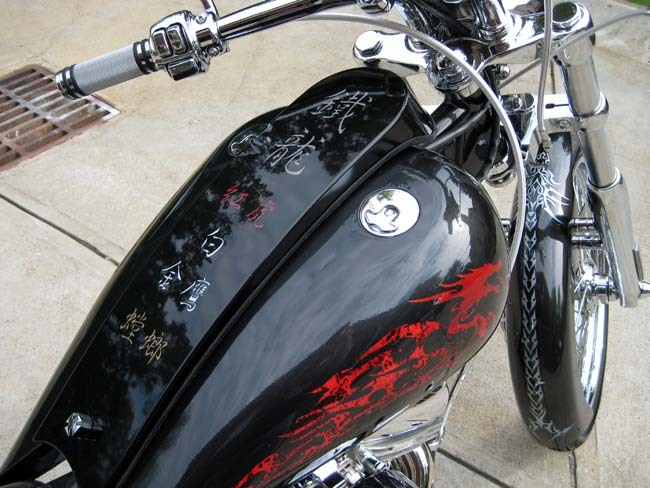 From the official logo on the belt guard, to the airbrushed Chinese lettering saying "The Iron Dragon" on the tank cover. 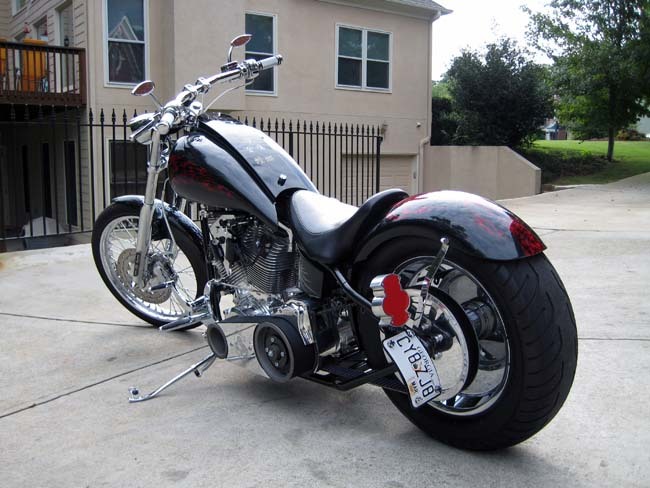 This bike is called a hardtail. Meaning, there is no suspension in the back. 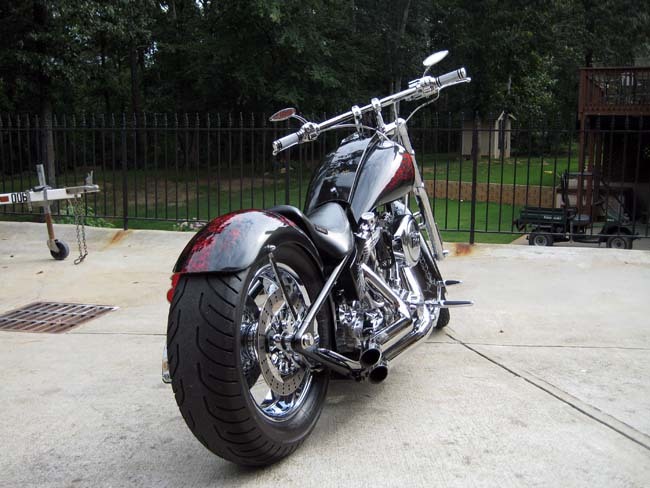 Tough ride, much like our Kajukenbo training. There are no guages or turn signal either, it is all manual effort. 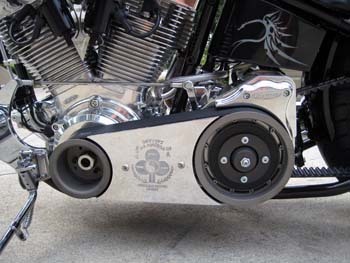 The bike turns out 115 horsepower and weighs less than 500 pounds, making it very powerful and all business. All logo's and patches carry the full endorsement for use from SGM Dechi Emperado and Griffin's Kajukenbo organizations.